In 1927, car dealer Alvan T. Fuller commissioned Boston landscape architect Arthur A. Shurtleff to design a garden in the back of his summer estate known as Runnymede-by-the-Sea in North Hampton, New Hampshire. 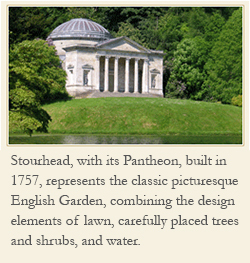 Shurtleff provided the gardens for many Colonial Revival landscapes of that time, including Colonial Williamsburg. Now called Fuller Gardens and a two-acre public garden, today that same garden welcomes visitors to enjoy its stunning landscape. Since such large estates required a conservatory or fernery, the Fuller Gardens include a greenhouse which is attached to the house. 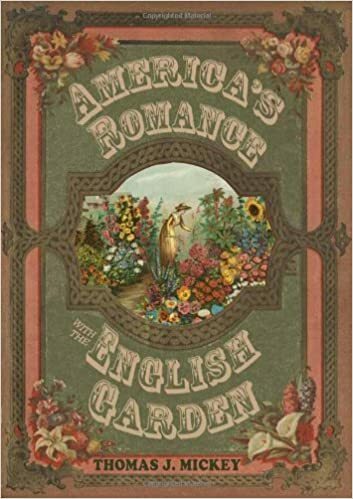 Allison Kyle Leopold writes in her book The Victorian Garden, “Ferneries were popular during the 1880s and 1890s.” Such conservatories or greenhouses continued to be important in the early twentieth century as well. Roses fill most of the garden at Fuller. There are hundreds of rose bushes, with a few blooming on my visit there last week. Strolling through the rose garden, I came across this water fountain against a wall. 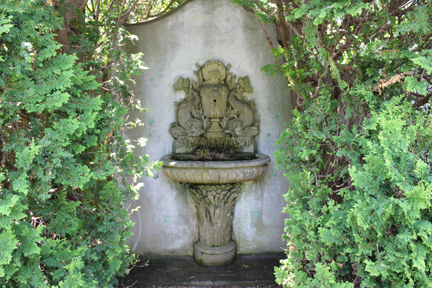 [below] The fountain provides a water feature to the garden’s formal design. 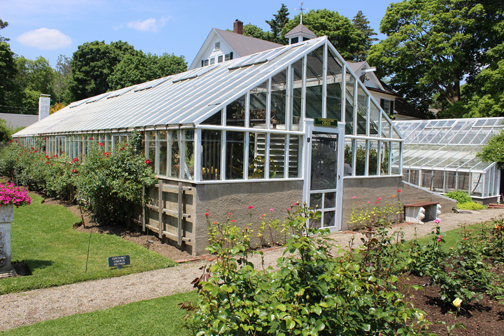 A visit to Fuller Gardens today gives you a chance to enjoy both the seacoast as well as an historical New England garden, featuring its greenhouse in the rose garden. A beautiful garden and stunning greenhouses I would love to work in…. Donna, it is a beautiful garden. Many visitors come every summer, especially to enjoy the roses. The view of the ocean of course is also an attraction.